BIDEFORD BEAT NORTH DEVON IN A NAIL-BITING AND STYLISH CLASH OF THE TITANS!! This match was billed as the fight of the season! 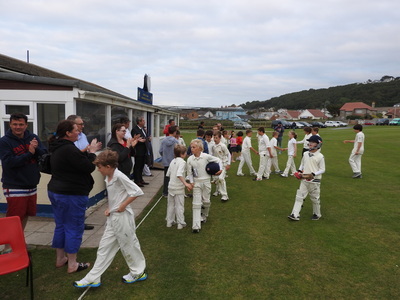 Both sides arrived knowing that team they faced included some of the best young cricketers in North Devon. Not only the players, but the parents and supporters of both clubs were enthusiastically egging their sides on. Bideford went out to bat first with Julian Hayter and Arlo Sherborne to start. 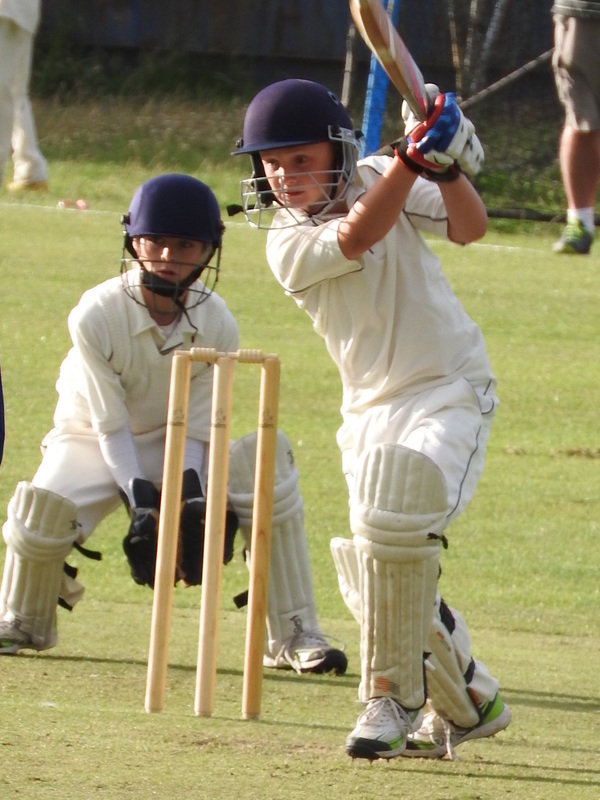 Very few wides were given away by the first bowlers but this didn’t stop Julian from reaching 25 runs and retiring. 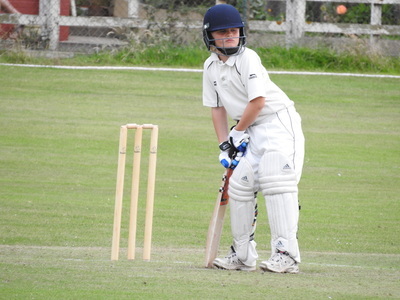 Tom Stone (c) was the next to bat and was frustrated to get out by being stumped on 22 runs. Most of the Bideford score after this was from wides given away. 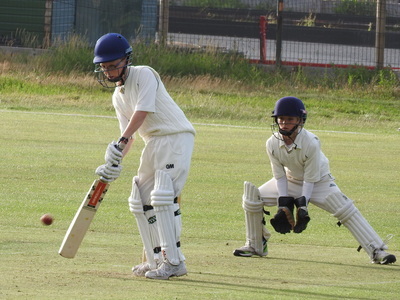 It was very impressive to see the newest of our team batting strongly against very experienced bowlers; Millie Wivell, Archie Tapsell, Adam Rashid and Cody Symons. After twenty quick overs the score to beat was 94 runs. For Bideford this didn’t quite seem enough to make the remainder of the match comfortable but they went out to field in a positive mood with their amazing team spirit. 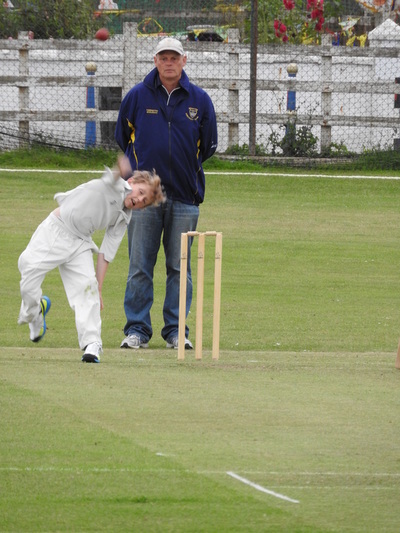 Archie Tapsell opened the bowling and kept it tight. Cody Symons (1-6) bowled from the other end and took the first wicket in the fourth over with a run out. The second and third wickets were taken by Julian Hayter (2-15) and Arlo Sherborne (1-20) and all three of North Devon’s top batsmen had gone. The crowd was in awe as Arlo reached out one hand and caught the ball he had just bowled. It was an impressive catch! 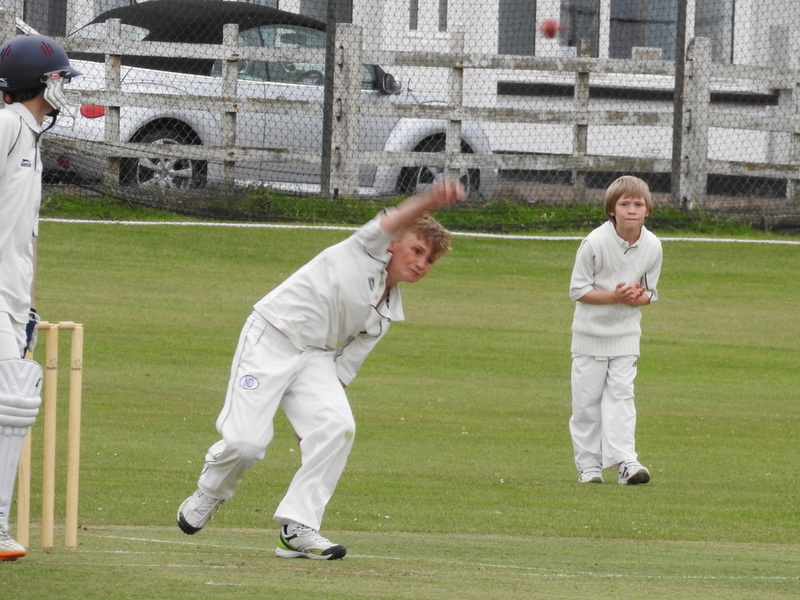 Tom Stone relinquished his wicket-keeping gloves to bowl opposite Damon Berry for the next 6 overs. 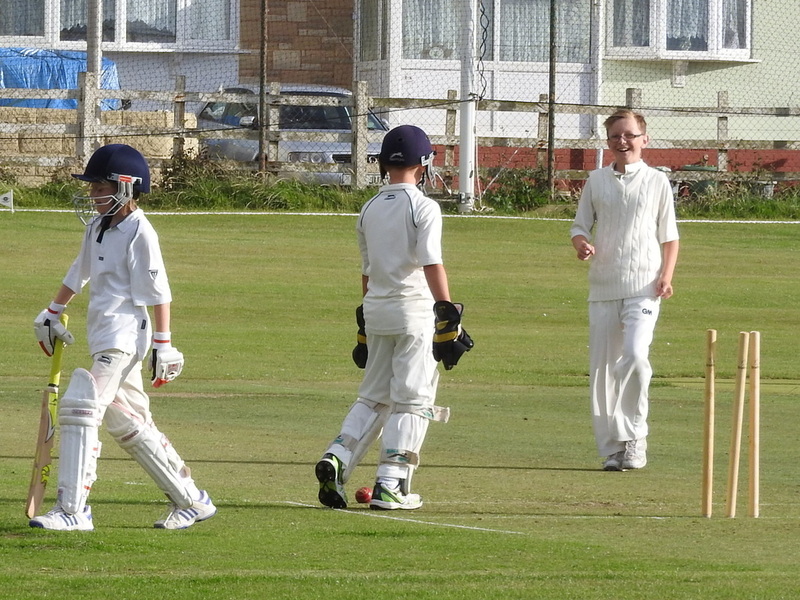 The batsmen facing were Will Popham and Rowan Cross who are both Devon County players. Damon Berry (2-11) struck first by taking out Will with his precise leg spin bowling. 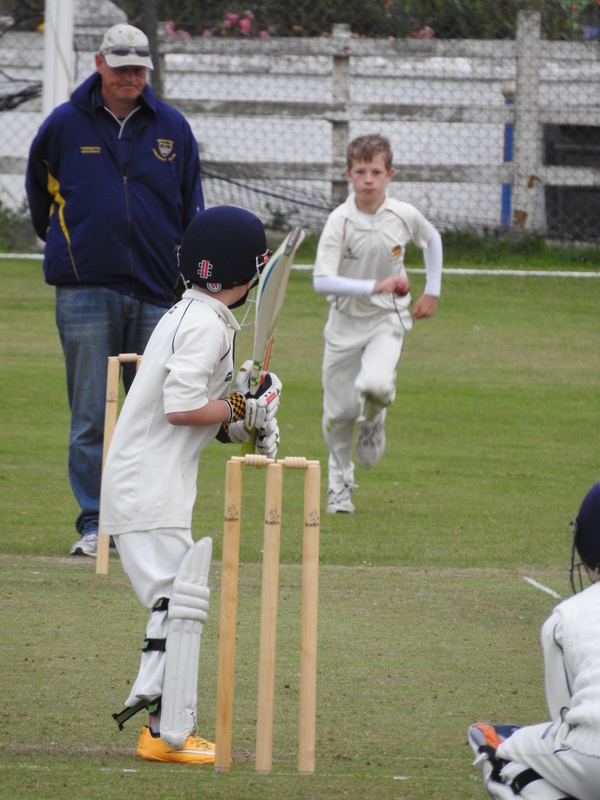 Tom Stone (2-18) then took out his replacement Josh Arthur with an LBW. 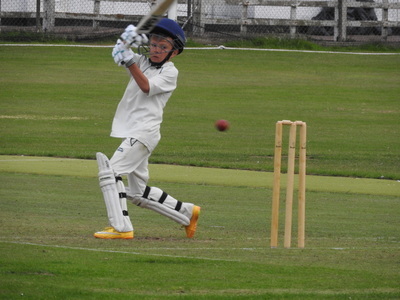 The next ball, the first of Damon’s second over, was caught by Tom Stone, and that was Rowan Cross out. Five overs went by and the run rate was horribly close. It was not possible to see who was going to come out on top. 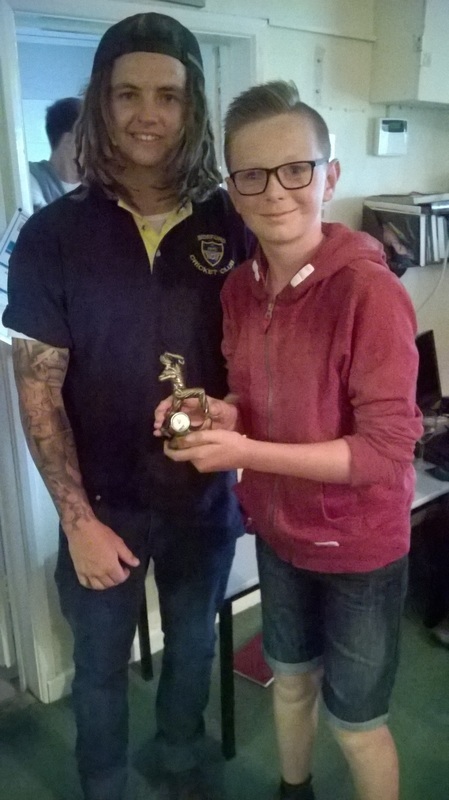 The bowlers had kept it tight and to finish it all off in the best of styles Tom took another wicket, caught and bowled, and Julian made it eight wickets down in the final over. 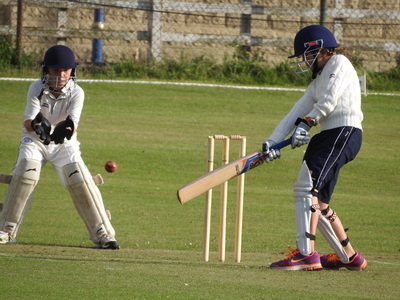 North Devon only scored 89 runs in their twenty overs and so BIDEFORD WON BY 5 RUNS!! A final word must be said for Tom Stone and his deputy wicket-keeper Ant Lavis, their sterling job at not letting a single ‘bye’ get scored by North Devon. Well done. 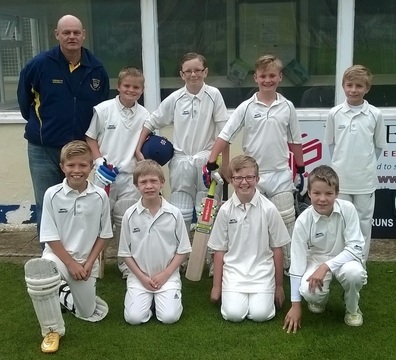 This team has already gone from strength to strength and now it has the belief that any opponent should be very worried if they are coming to face Bideford CC Under 11s! Tom Stone took the captain’s role in Julian’s absence and chose to open batting with Arlo Sherborne. 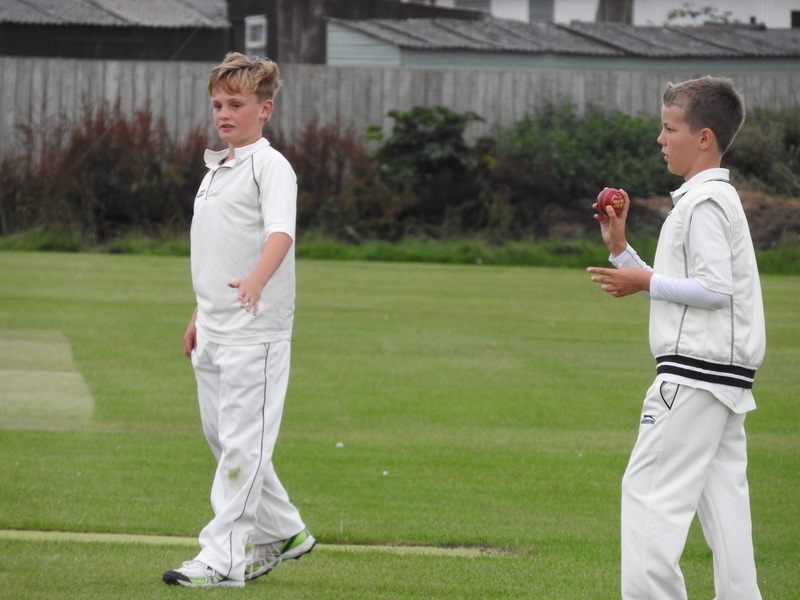 However, hard the opposition’s bowling got, Arlo and Tom managed to score 30 and 31 respectively and retired. Ant Lavis and Adam Rashid were next to bat and both managed to score 9 runs and Bideford only suffered one wicket against them. 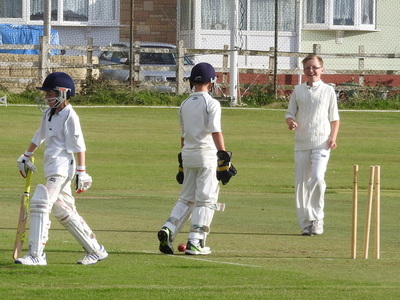 With only 5 batsman needed, Bideford scored 144 at the end of their innings. There was clearly quite a difference between the two teams, with Bideford all turning up in their whites, which was remarked upon by the opposing manager, and Braunton putting out a team of young enthusiastic players who did not have so much experience. The most stark evidence of the difference in the teams was in the second innings when it only took 9 overs to get all of the Braunton team out for 37 runs. 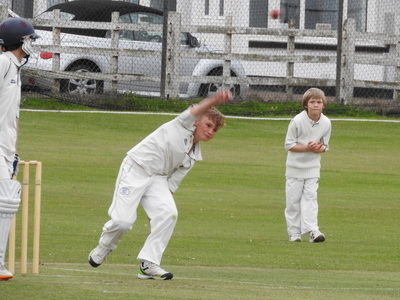 Within the first 2 overs they were down to 9 for 4 due to Tom Stone and Cody Symons taking 2 wickets each. The remaining wicket takers were Adam Rashid (2-2 off 1 over), Damon Berry (1-4 from his 2 overs) and Millie Wivell (1-10 from her 2 overs). Bideford were first out to bat and we started with the pairing of Julian Hayter (c) and Damon Berry. Julian had a chance to get a couple of boundaries against Filleigh’s first bowler but when Thomas Heard came on to bowl her first took out Damon and within three balls also had Julian’s wicket. Cody Symons batted third but was unfortunately run out. 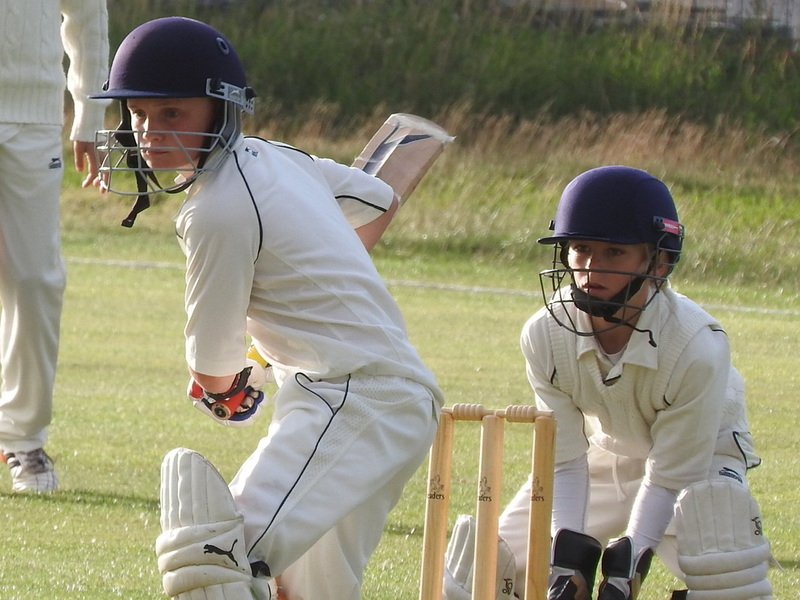 It took almost the rest of the innings for another wicket to fall as Tom Stone and Arlo Sherborne hit 8 boundaries, scoring 44 runs off the bat. Again, it was Thomas Heard who eventually broke the pairing. The final batting score, with the help of 63 wides, was 130 runs. Filleigh’s batting was dealt a very early blow from Archie Tapsell with the second ball of the innings when he got Matthew Boundy out for a duck. 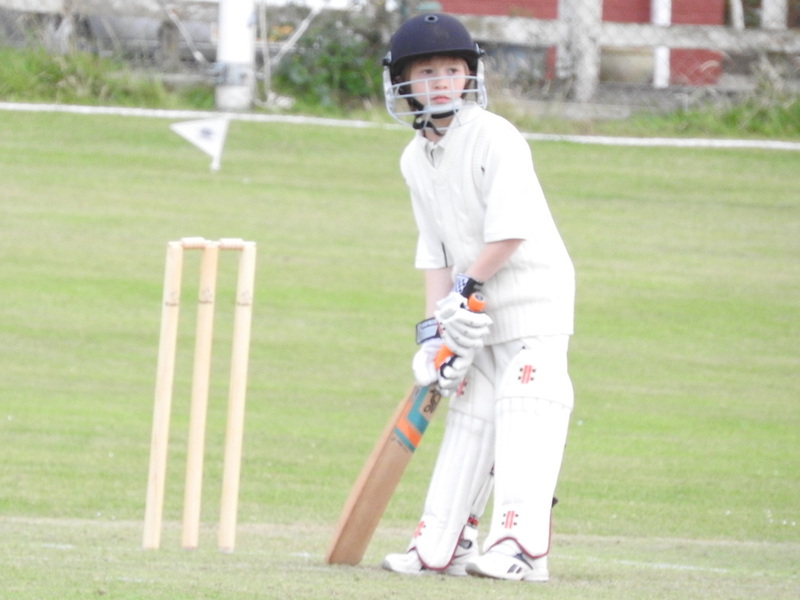 Batsmen two and three stayed at the crease for several overs and it was decided, by the FIlleigh manager, to swap in two new batsmen to give more of his team a chance to bat. 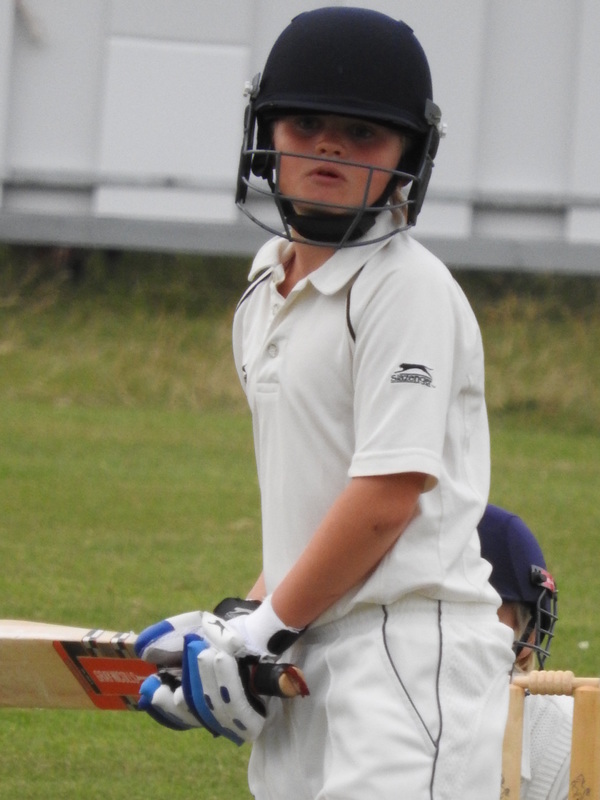 Thomas Heard came out to bat with Gemma Westacott. With the score starting to creep up, Damon Berry bowled Thomas Heard out. The end of the innings finished with some fine bowling from Julian Hayter taking two wickets in the last over to hold the opposition to 99 runs. The start of the 2017 Under 11s season has begun with a win. 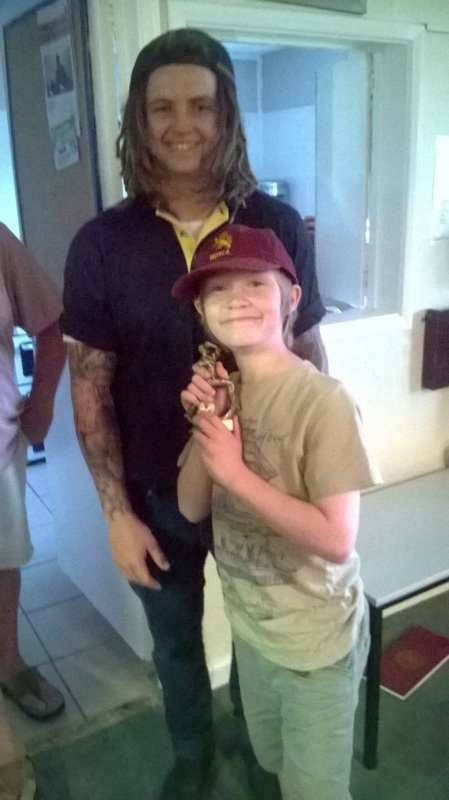 The main reason for the win was much the team work from Julian Hayter (c), Tom Stone (wk), Damon Berry, Arlo Sherborne, Cody Symons, Sam Beckley, Archie Tapsell, Ant Lavis, Millie Wivell, Tristan House and Harry Staddon. 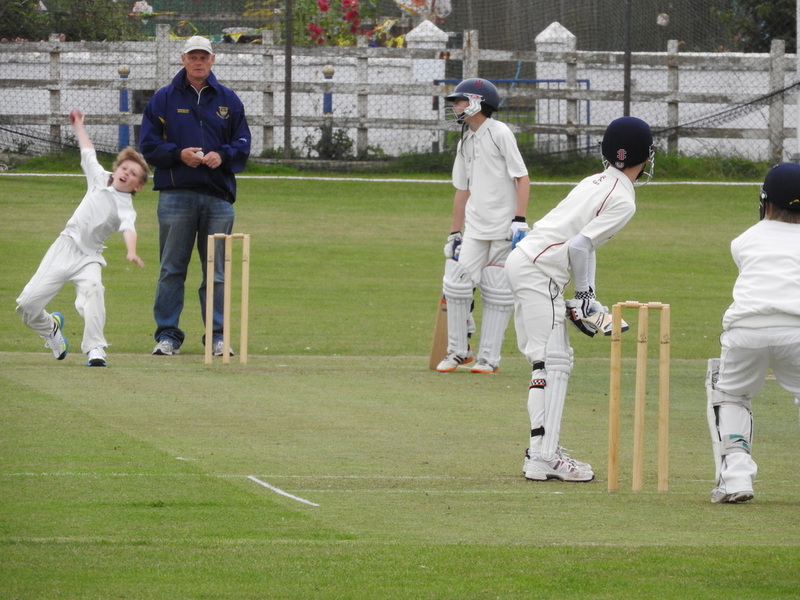 On a very damp and grey morning, the determined under 11s played their first match against North Devon. Having already had 2 games cancelled, our young team showed great resilience in battling both the opposition and the weather. 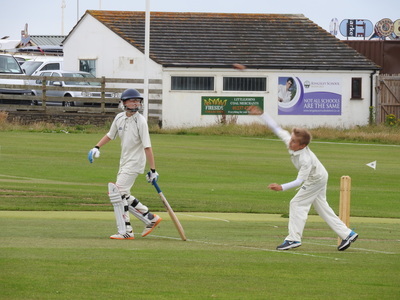 Facing some excellent bowling from North Devon, unfortunately we lost several quick wickets leaving our less experienced players to see the innings through. Will Sullivan hit his first boundary of the season and a great performance from Tom Stone, Peter Middleton and Noah Harper-Smith saw them all scoring runs. Bideford ended on 62-7. 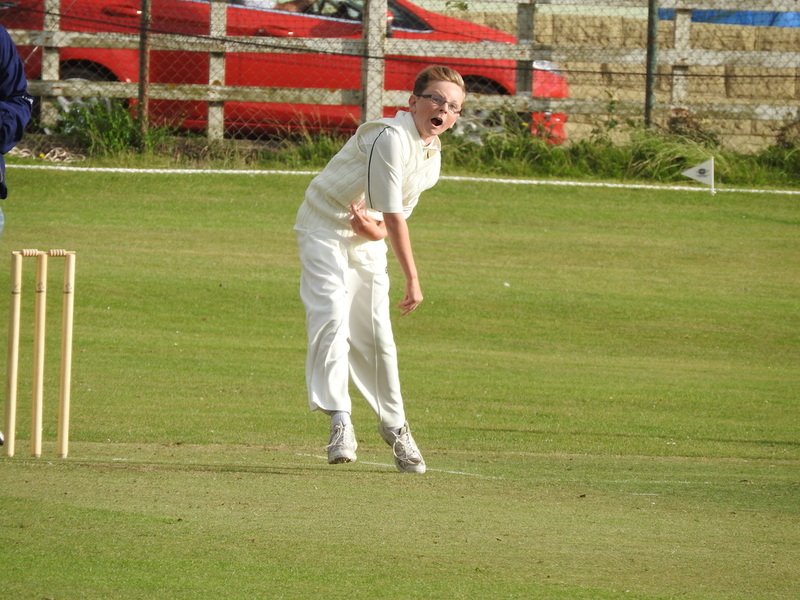 Despite some accurate bowling, there was only one wicket taken, falling at the hands of Julian Hayter. 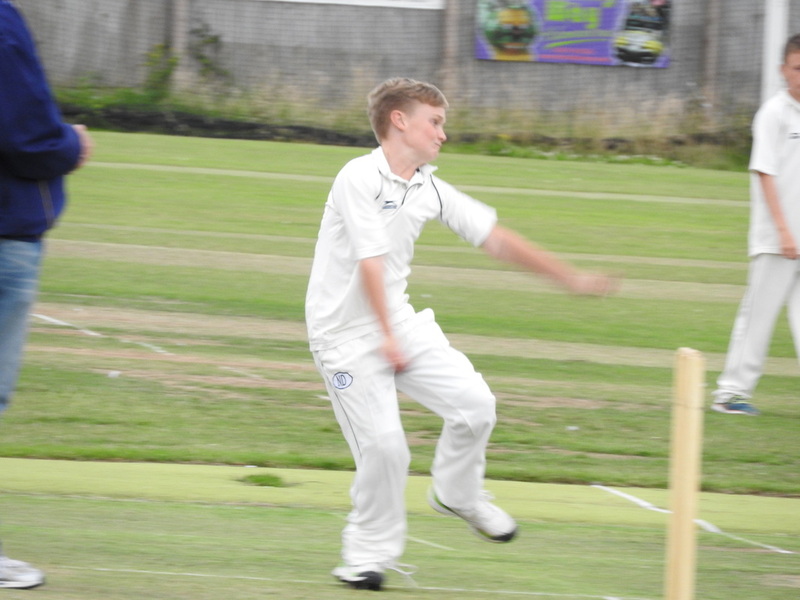 Some excellent bowling was displayed by Dan Smith, Damon Berry and Taylor Stevens to not take wickets. 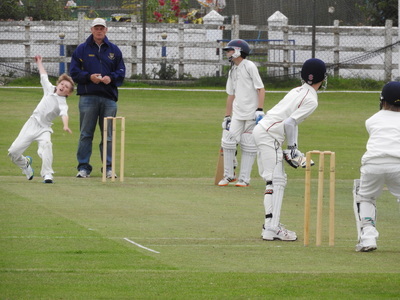 Jim Keates stepped forward as volunteer wicket-keeper, despite his inexperience in this position. The team remained positive throughout with great support in the field from Evan Suggett and Arlo Sherborne. Above all, the spirit of cricket was seen yesterday, when a Bideford player slipped on a very wet pitch, running for an easy single. 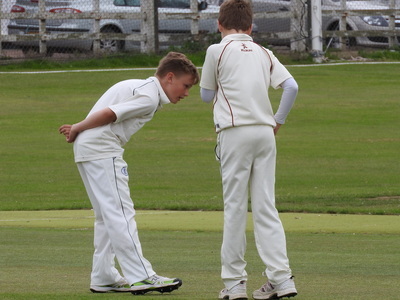 North Devon refrained from an easy run out due to the slip, showing truly outstanding sportsmanship. Wet, wet ,wet! 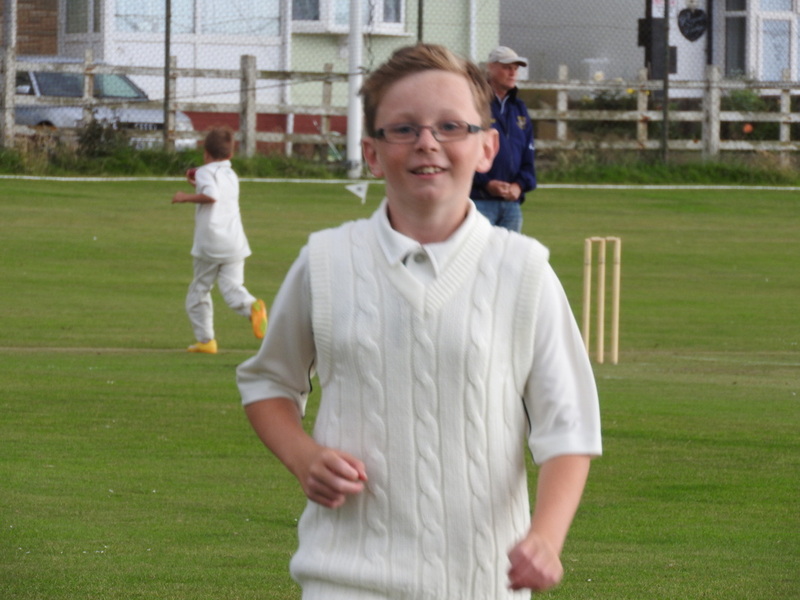 Despite the conditions, both teams were keen to play, and Hatherleigh duly made the trip up to Westward Ho! with fingers crossed. We played a full match, and hopefully no one on either side will go down with pneumonia in the next few days . . . Losing the toss, we were asked to bat first. 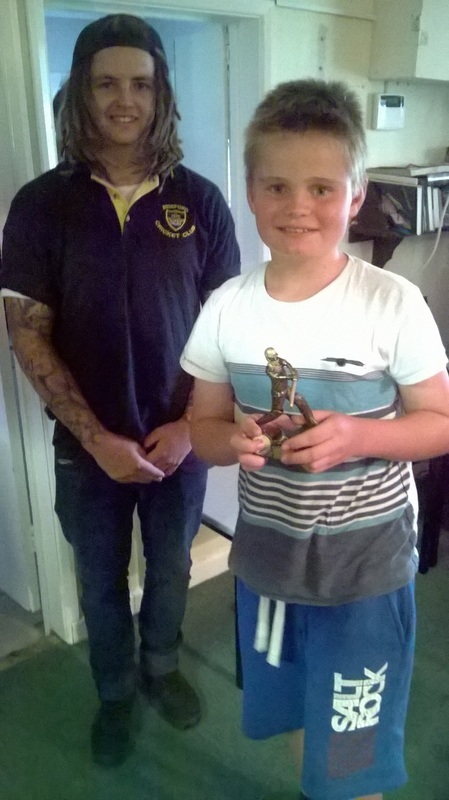 With two no-shows, we only had 8 players, so it was always going to be a tough proposition facing Hatherleigh. Losing Daniel in the first over – after he had opened the batting so well against Braunton – put us under pressure almost immediately, but James and Julian calmly and patiently built a solid foundation against some accurate and penetrative bowling from Hatherleigh, on a wet and difficult wicket. The brothers put on 41 together before Julian was undone by the extra bounce and late movement from the excellent Sophie Powell, but his contribution of 12 helped to see off the opening and first change bowlers, all of whom bowled superbly. 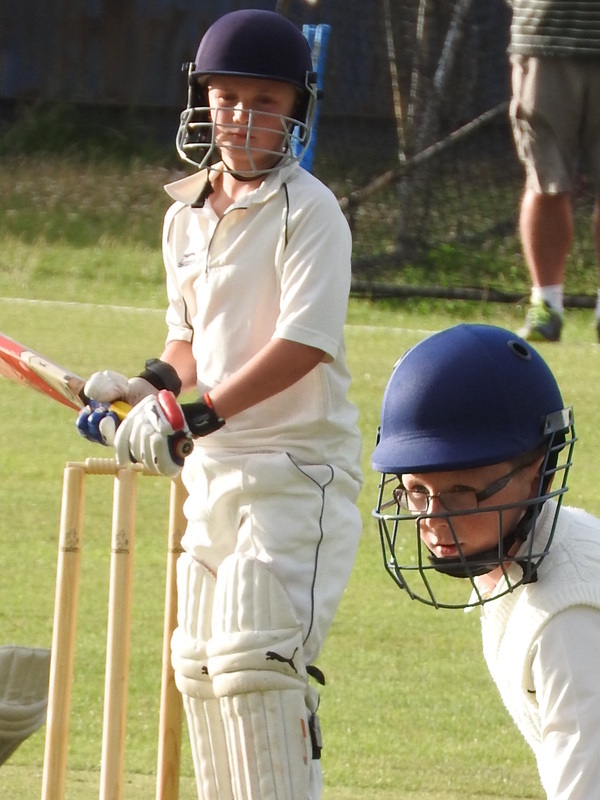 Evan came in to join James at the crease, and such is Hatherleigh’s strength that they still had the Devon quick bowler Jasper Presswell to bowl, but Evan and James kept him out, with James striking him for a superb four through mid off. Due to a scoring malfunction, James had to retire on 26* (we thought he had 30 – incidentally, through another scoring malfunction, Hatherleigh’s Jasper Presswell retired on 35, which somehow doesn’t seem very fair….!) 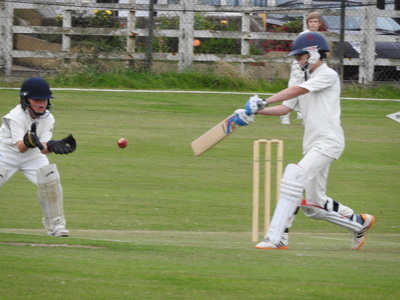 but the captain led from the front, taking the bowlers on and hitting three 4s and running well between the wickets. Evan, Will and Rhys then had to get the score as high as possible, and we finished up on 82-4 from our 20 overs, with Evan 7*. After a short break we went out to bowl, with Damon and Shae opening up, Damon getting a wicket in his second over – a smart stumping by James – but Hatherleigh’s Presswell twins quickly took the game away from us with some big hitting. When Jasper retired on 35, the game was all but over, but there was still time for us to get a few more wickets. 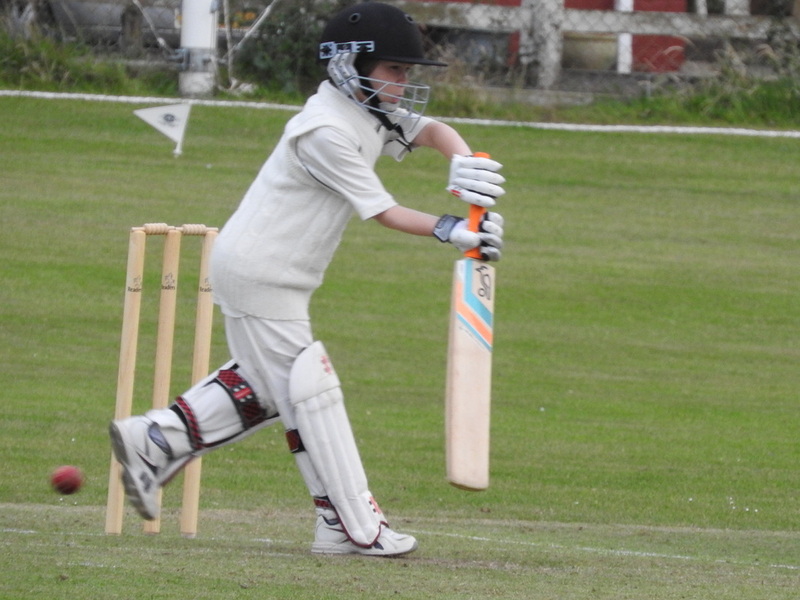 Another smart stumping from James gave Will his first scalp, Julian clean bowled two of the opposition, and a superb piece of fielding and throw by Evan gave us a run out. Hatherleigh got home, wobbling a bit at the end, scoring 84-5 to win by 5 wickets. But we put in a good effort. 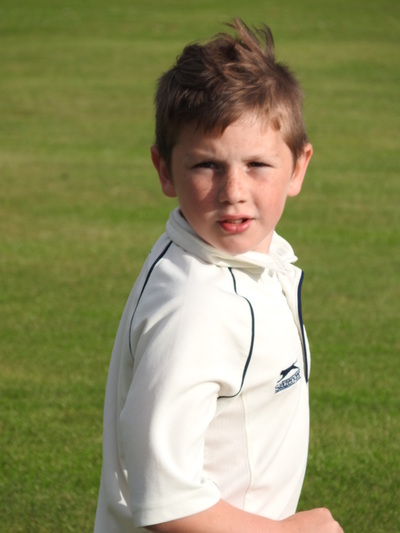 We only had one genuine Under 11 player, all the others were U10s or U9s, so we mustn’t be disheartened. 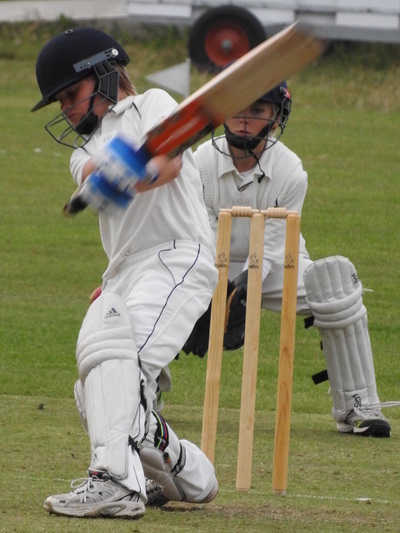 Hatherleigh’s three U11 district and county players, with the excellent Sophie Powell, did the bulk of their bowling and batting – in fact the rest of their team only scored 3 runs and didn’t take any wickets. Next season our U11 team will only be missing the captain, so the experience of this season should bring dividends then! My thanks to Martin and Andy for preparing a wicket for us, and my thanks especially to the parents yesterday who helped with scoring, boundary flags and dishing out snacks and drinks to the players after the match. I didn’t see who did it, but when I came in from putting everything away outside and locking up, all the cups and plates had been washed up and stacked neatly in the kitchen. THANK YOU THANK YOU THANK YOU – I really do appreciate it!! 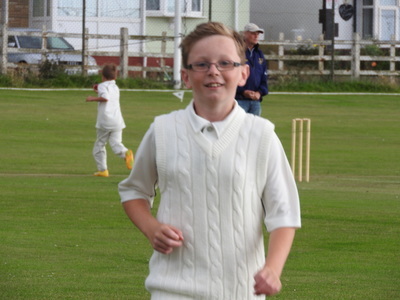 A young Under 11s side put up a valiant fight against a strong Braunton team at Westward Ho! on Tuesday evening. 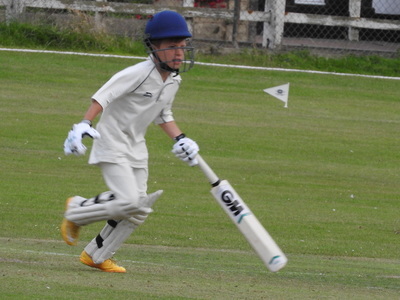 With our skipper being the only ‘genuine’ Under 11 it was always going to be a tough ask bowling against Braunton’s many Devon and North Devon District players, but we did well to keep them down to 130 off their 20 overs after losing the toss. 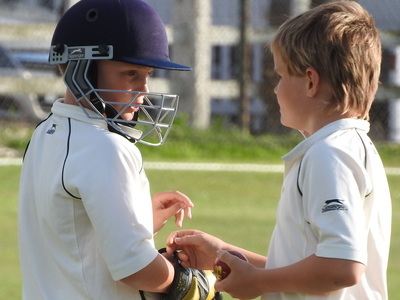 Everyone bowled their two overs very tidily, with our young and inexperienced bowlers giving away just half as many wides as their older opponents did after the break. Wicket takers Dan Smith (one for five) and Julian Hayter (one for two) conceded just 7 runs off the bat in the last four overs of Braunton’s innings – a fantastic effort! Seeing off the Devon opening bowler was essential if we were going to win this match, and openers James Hayter and Dan Smith did just that. Jim Keates, in at 3, hit some lusty shots in his 8 before Julian Hayter blasted five 4s in his 23, nearly taking the head off of one poor fielder in front of the pavilion in the process! Meanwhile captain James Hayter stroked his way to an elegant 25 (four 4s) before having to retire, but the brothers managed to put on 70 in 9 overs to take the team to within spitting distance of victory. 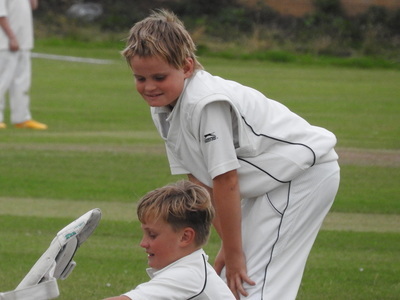 Damon and Evan (6) were run out going for quick runs, and when Braunton brought on their Devon quick bowler for a third over (unfairly, in my view J ) it was too much of an ask for the youngest to get the remaining 16 runs needed for victory. Still – a fantastic effort all round with plenty of positives. 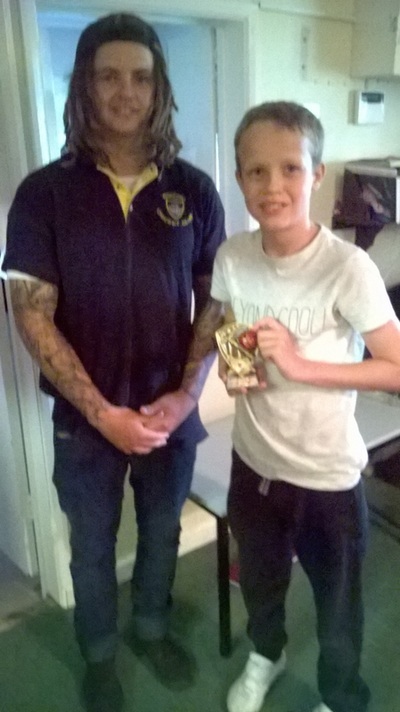 Our bowling was particularly impressive – we bowled just 11 wides, whereas the older and more experienced Braunton bowlers bowled 20. 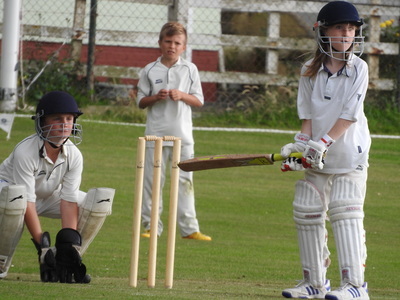 For a team made up largely of Under 9s and 10s, that is a tremendous performance. 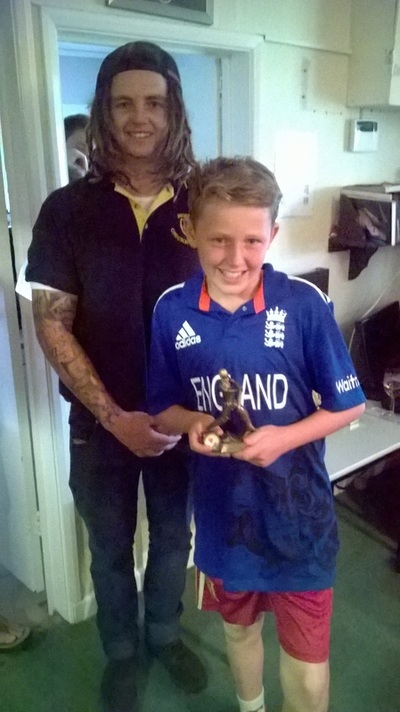 Batting wise – James and Julian were outstanding, Dan coped with the Devon quickie with no problems, and Jim hit some nice shots. Evan hit a 4 and both he and Damon understood the match situation perfectly and got run out going for the win. 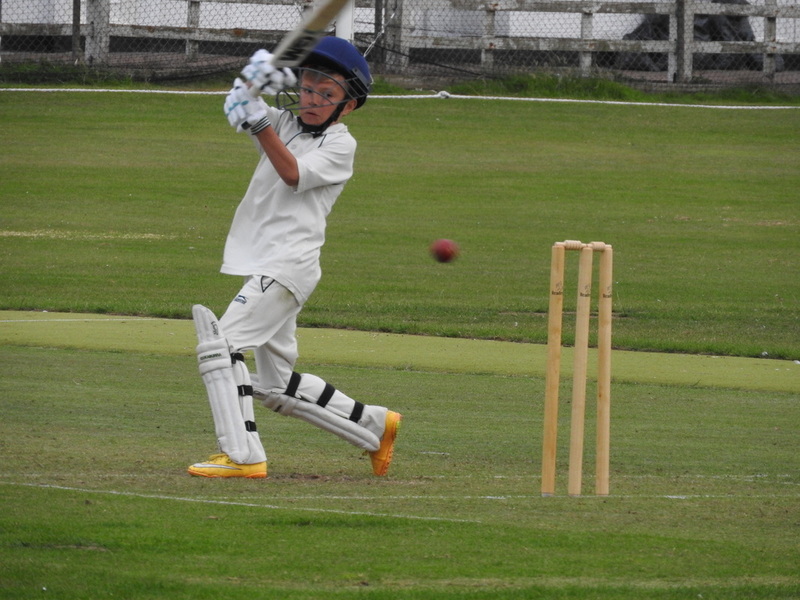 We’ve had three U11 matches now, and had three cancelled! Hopefully we can rearrange at least one of them, but if not, there’s plenty to look forward to for next season with this talented lot! Photos below thanks to Mr Jeremy Cooper of Braunton! The under 11s stamped their authority on a one-sided match against Newton Tracey. Losing the toss and being asked to bat, captain James Hayter opened with Taylor Stevens, and the pair put on 67 before James retired having scored a majestic 31*, including four 4s, and Taylor retired on 3*, after 11 overs. Ben Seaman and particularly Julian Hayter then upped the tempo, with Julian also hitting four 4s in his 26 off just 15 balls. Ben scored a useful 10 before Charlie Beckley and Jim Keates unselfishly sacrificed their wickets in the pursuit of quick runs in the last couple of overs. Leon Morgan and Evan Suggate finished off the innings with some frenetic and excellent running between the wickets, taking our score to 139. 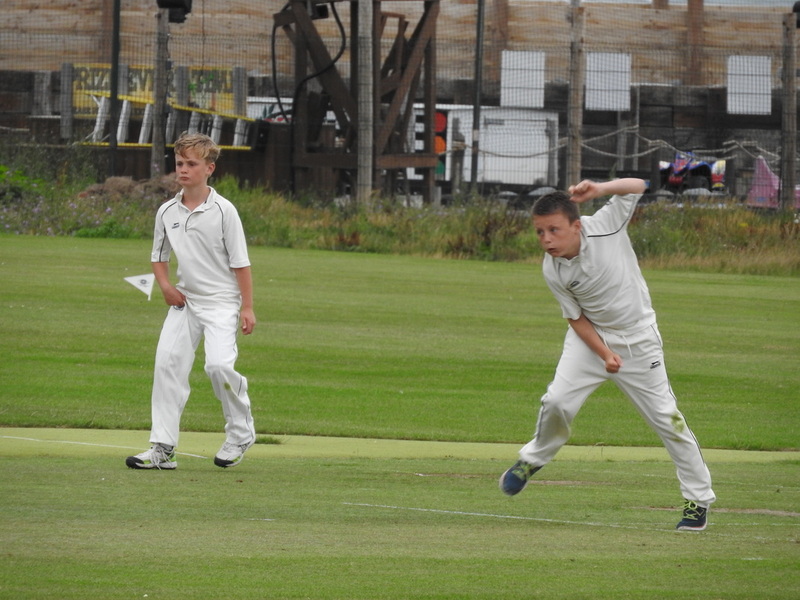 After the break Damon Berry took charge with the ball, returning impressive figures of 3 overs, one for 5. Indeed, he was our only wicket taker as Newton seemed content to see the overs out, ending up on 83. Everyone had a bowl, and the more practice our bowlers get, the better they will become. Unfortunately out of Newton’s total of 83, 51 were extras – wides and no balls – so that is something we all need to work on for future games. At this age, matches can be won and lost by the number of extras given away!